Background: It is unclear whether recognition of epidural catheter failures is delayed with combined spinal epidural technique (CSE) compared to traditional epidural technique (EPID) when used for labor analgesia. The authors hypothesized that recognition of failed catheters is not delayed by CSE. Methods: Anesthetic, obstetric, and quality assurance records from 2,395 labor neuraxial procedures (1,440 CSE and 955EPID) performed at Forsyth Medical Center (Winston-Salem, North Carolina) between June 30 and December 31, 2012, were retrospectively analyzed. 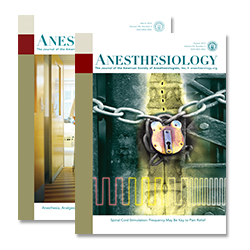 The primary outcome was catheter survival (failure-free) time during labor analgesia. A proportional hazards model with the counting method was used to assess relationships between the techniques and survival (failurefree) time of catheters, while controlling for subjects’ body mass index and providers’ level of training in the final best-fit multivariable regression model. Results: Cumulative incidence of epidural catheter failures was 6.6% for CSE and 11.6% for EPID (P = 0.001). In the multivariable regression model, catheters placed with CSE versus epidural were less likely to fail (hazard ratio, 0.58; 95% CI, 0.43 to 0.79; P = 0.0002) for labor analgesia. Among the catheters that failed, there was no overall difference in failure time course between the techniques (hazard ratio, 1.17; 95% CI, 0.89 to 1.54; P = 0.26) even though more failed catheters with CSE (48.4%) than with EPID (30.6%) were recognized within the first 30 min of placement (P = 0.009). Conclusions: In this cohort, CSE has a significantly lower risk of overall epidural catheter failures than EPID and does not delay recognition of epidural catheter failures. Choice of CSE versus EPID should be based on overall risk of failure, efficacy, and side effects.